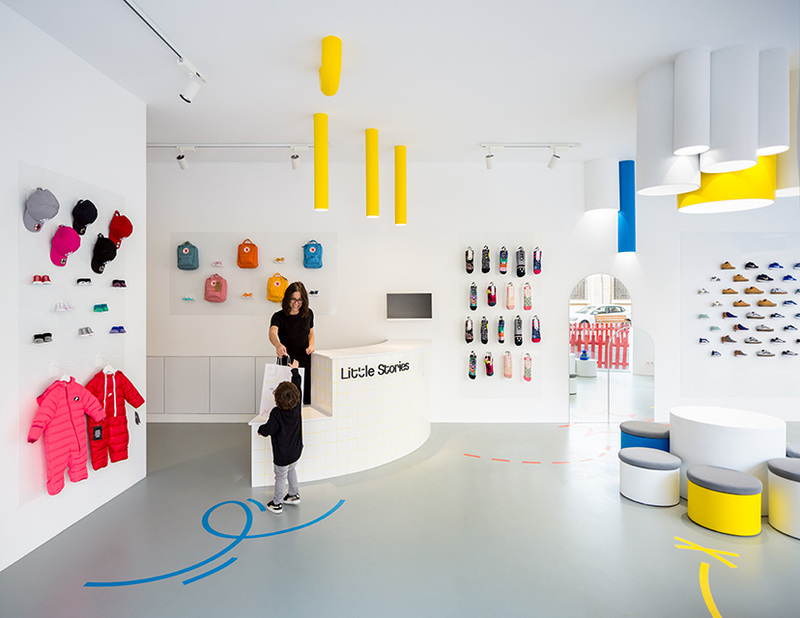 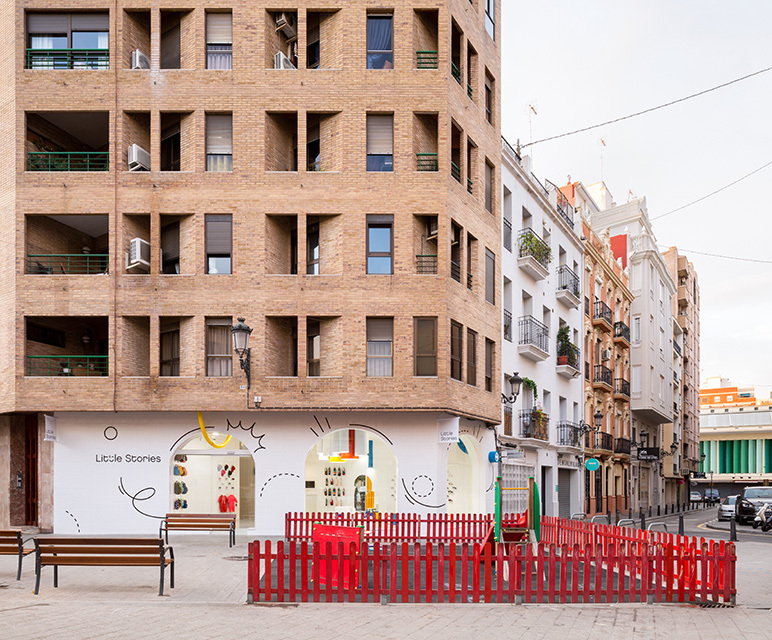 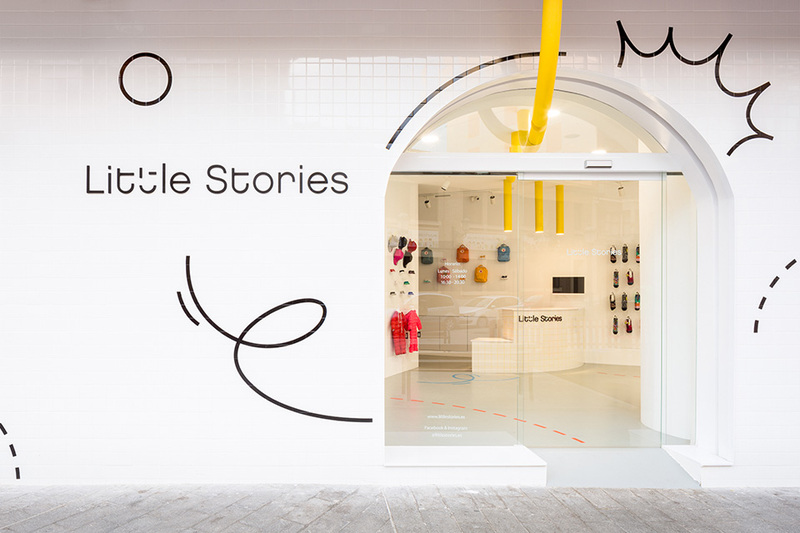 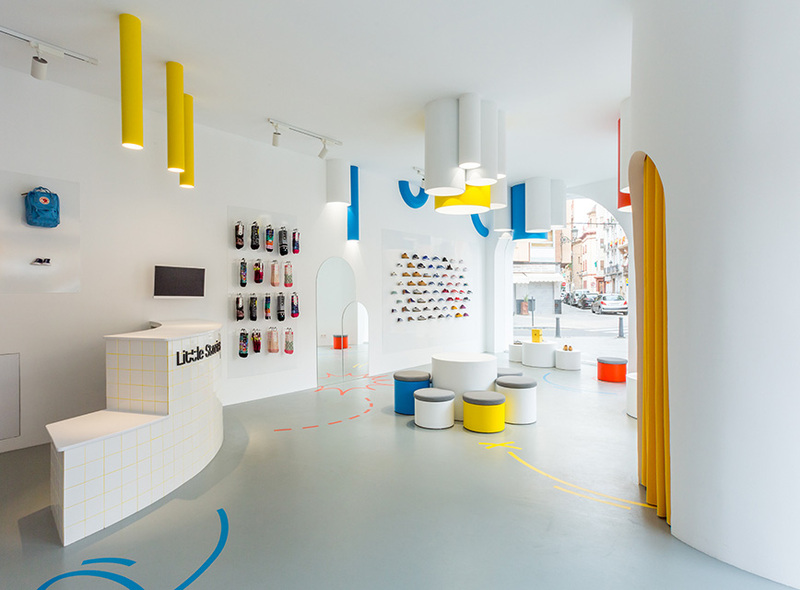 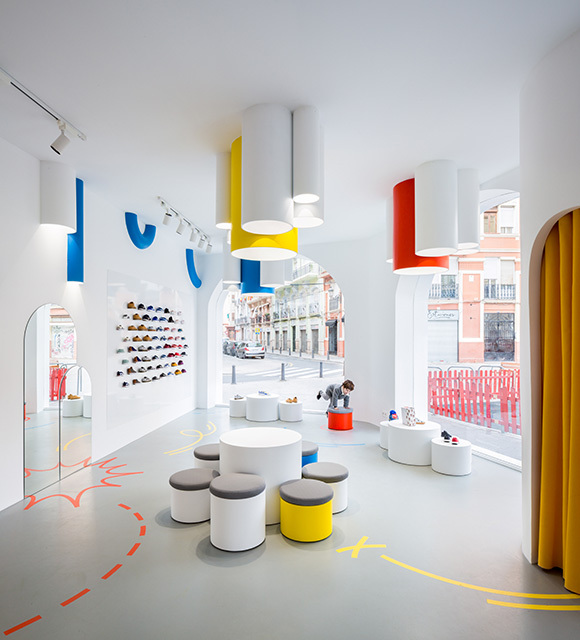 One more interior design project from Spain – bright and colorful Little Stories kids concept store in Valencia, designed by CLAP Studio. 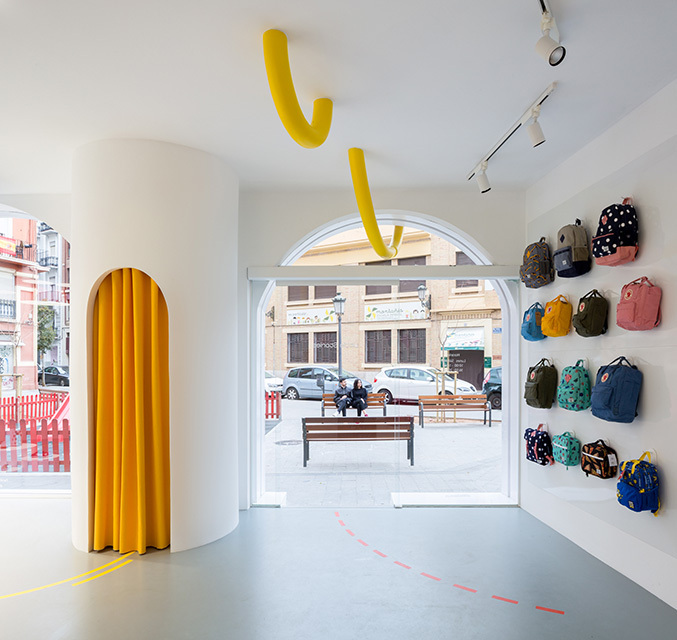 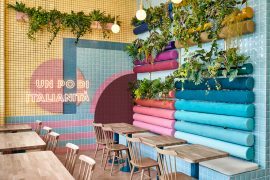 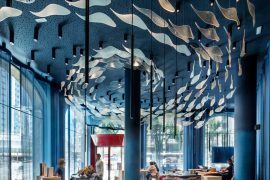 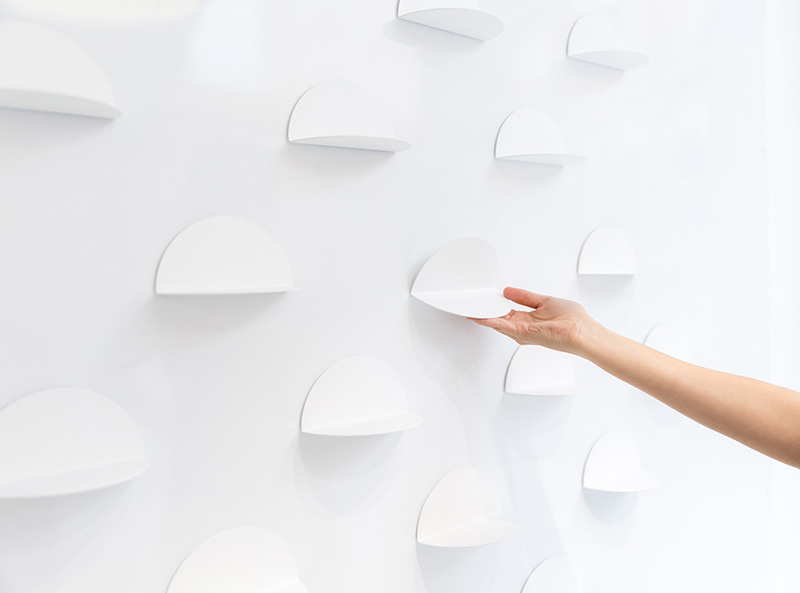 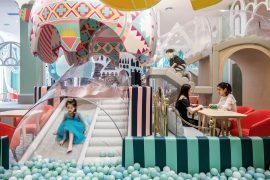 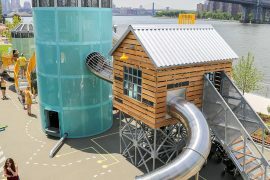 For this project, the designers have created a playful corporate identity that became then a basis for the facade and interior design of the store. 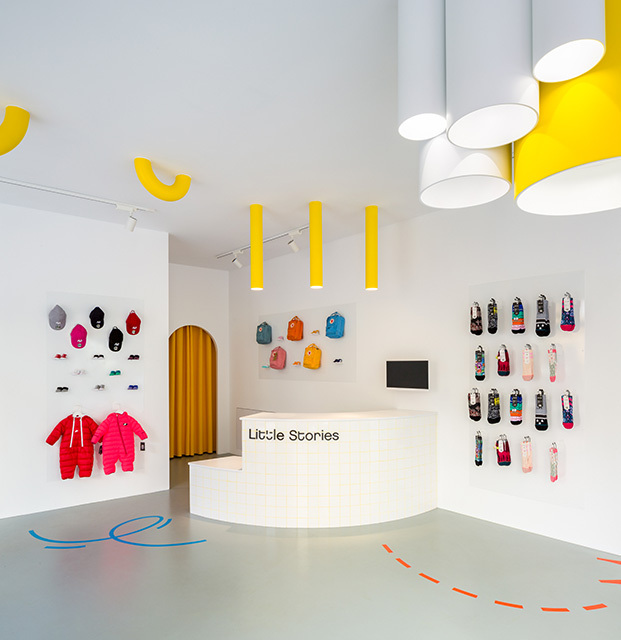 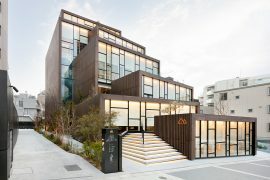 Inside, the store is designed as a single 70 square meters open space with large windows that make the whole interior feel like an enormous shopfront. 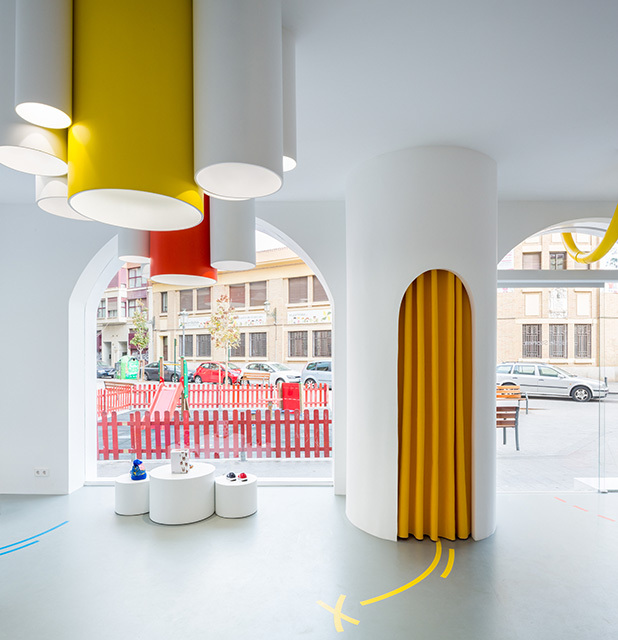 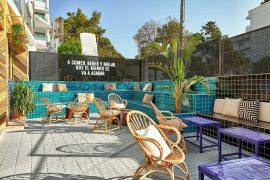 Almost all surfaces are painted in white and act as a background for the colorful products and graphic elements of the corporate image. 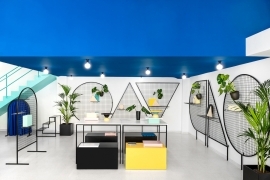 The product exhibition is completely adaptable and allows a change of distribution thanks to the small movable stands on the floor and magnetic metal plates on the walls.